Nearly impossible, custom-made parkour maps are a popular part of GTA Online, with their very own community. They test the limits of the game’s engine, which sometimes results in some truly spectacular runs. This is Albert using an Enduro bike (which is great for wall rides) on a really evil map made by Retro maniA, completing it flawlessly on his second try. 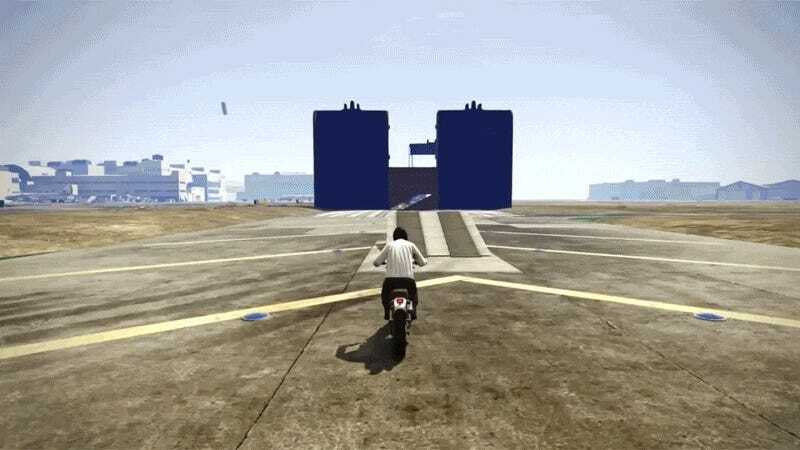 The original stunt challenges of GTA V look pretty easy compared to this course, which is more like Rainbow Road or something wild from Trials Fusion.